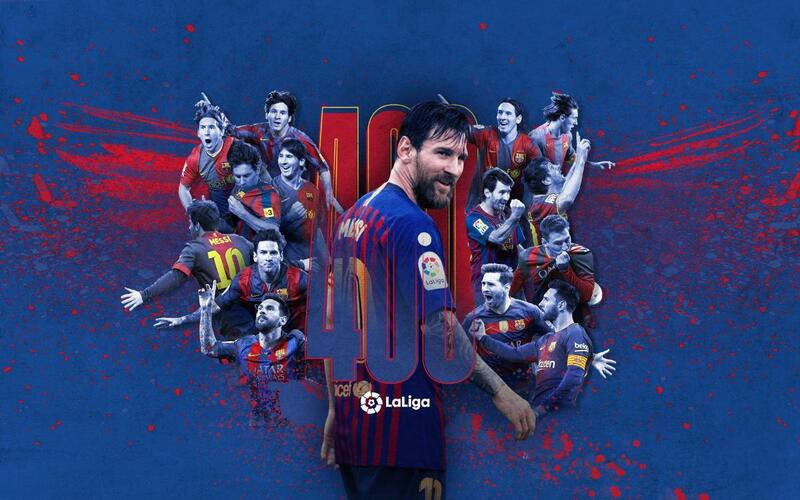 The Argentine, who has now reached 400 all time goals in LaLiga, and Uruguayan have found the net 31 times in the league so far this season, a figure that only Celta Vigo and Sevilla can equal. The rest of the clubs in the first division have scored less than the lethal blaugrana strike duo. Scoring more goals than most of the other clubs in the division logically leads the Barça numbers 9 and 10 to be top scorers in the division. The blaugrana captain leads the way with 17 goals and the Uruguayan is close behind on 14. Could the ‘pichichi’ wear blaugrana for the fourth season in a row? 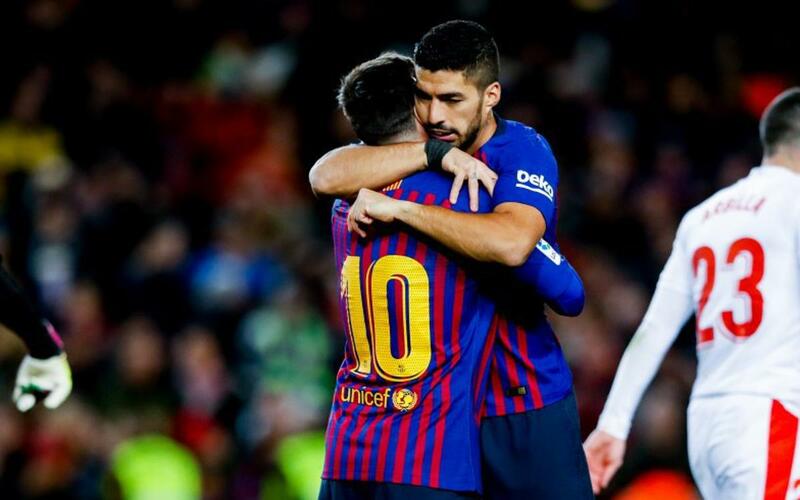 Messi claimed the award for the fourth and fifth time in 2017 and 2018 whilst Suárez was top dog in 2016. If we take Messi and Suárez total of 31 goals and add 22 more we have Barça’s total of 53 in the league so far this season, well ahead of their nearest rivals Celta and Sevilla who are on 31. Barça 8 Huesca 2. In week 3 FC Barcelona recorded their biggest win so far of the 2018/19 league campaign. Nobody else has been able to score 8 goals in the same so far in the league. Other big wins include the memorable 5-1 win over Real Madrid and the 5-0 win away at Levante and the 4-0 victory away at Espanyol in the Catalan derby. Ernesto Valverde’s team ended the first half of the campaign in the league with a sixth consecutive win, the victory coming at Camp Nou against Eibar. Since the 1-1 draw against Atlético in the Wanda Metropolitano, the blaugranes have beaten Villarreal, Espanyol, Levante, Celta, Getafe and Eibar in La Liga. Barça reach the midway point of the campaign with 13 wins. FC Barcelona have gone three games at home without conceding in the league. Neither Villarreal, Celta or Eibar were able to find their way past Marc-André ter Stegen. Barça have a healthy advantage at the top of the table thanks to their record of 13 wins, 4 draws and two defeats so far this season in the league. On 43 points, they are five ahead of second placed Atlético and 10 ahead of Sevilla and Real Madrid who are third and fourth respectively. Ernesto Valverde’s team have committed fewest fouls of all the clubs in the first division so far this season, just 193. Furthermore, they have received fewest cards, 34 in total: 32 yellows and two reds. No other team has been able to match FC Barcelona in terms of possession. With an average of 65.05%, the team occupy first place in the table of teams who keep the ball best. Just behind Barça are Betis with 64.99% and Real Madrid with 60.65% of possession. Unsurprisingly, the blaugranes have also attempted most passes with 12,714, some 11,249 of which were successful. 10. Barça to retain their league title? Ernesto Valverde’s team are this season’s ‘Winter Champions’, that is to say they are top of the table at the halfway point in the campaign. Barça have always claimed the title when they have had at least a two point advantage over second place at this point the season. Will they collect their eight league title in 11 seasons? Win the shirt of LaLiga's top goalscorer. Take part!